﻿ How to Make Sure You Have a Strong Brand Identity » Red Mango Marketing! « Does Google Ads Work for Small Businesses? Having a strong brand is one of the most important ways you can help ensure that your business is successful. And one of the best ways to strengthen your brand is by keeping your brand messaging consistent. Companies that have consistent brand representation typically see an increase in revenue of 23%. Learn how to build an engaging and trusted company brand that your employees and customers will buy into. As you realign your small business’s internal and external branding, consider crafting a brand manifesto. A brand manifesto, or mission statement, is one concise message that communicates your small business’s core values. It provides insight into what your business really stands for. It can help focus both your employees and customers when they try and understand your brand. Where your small business will go in the future. Your impact in the lives of others. Effective brand manifestos will build trust with your customers, inspire your audience, and highlight what makes your brand unique. If you need a real world example, check out Apple’s “Think Different” campaign. This embodies a brand manifesto that evokes emotion, inspiration and future change. Your employees are some of the most important elements of your brand. If they understand your brand differently than how you portray it to your customers, your small business is going to suffer. These can be explained in a variety of ways, but as long as your employees get close to what you know you promote to customers then you’re in the clear. All your employees should feel aligned on who your small business targets. How has our brand changed in recent years? Every employee should have background on your history, what was changed recently and where you’re taking your business in the future. Fragmentation with this can create confusion when portraying your brand’s identity to customers. Anonymous surveys. When your employees don’t have to fill out their name, they’re more likely to be honest with their feedback. Send them a survey using email. Focus groups. These should be conducted by an outside company, not your small business. This helps ensure your employees give honest feedback and feel comfortable sharing. Suggestion boxes. You can set up a suggestion box anywhere in your small business. Once you do, employees can fill out their suggestions and drop them in. As soon as your box is full, you can have some fun sorting through the suggestions. Anonymous white board suggestions. Similar to a suggestion box, you can have employees write their suggestions on a white board in your small business. Once it’s full, you can go through all the feedback. Confidential lunch meetings. As a small business owner, you can set up lunch meetings with your employees. Make sure they know these are confidential so they’ll be more willing to share. This type of meeting can be good for gaining group perspectives. One-on-one conversations. Similar to confidential lunch meetings, you can set up confidential one-on-one meetings. During these meetings make sure you keep an open mind and are causal. Doing so, will lead to more honest and open feedback from your employees. Compare your employee’s responses to what is promoted externally to customers. If there are differing perceptions and ideals, then you’ve likely got a disconnect. What first attracted you to our business? This answer will most likely involve some feedback around your brand. If customer responses include talk about your mission, customer service, or product integrity, then the way you are promoting your business is on the right path. What is your favorite part about interacting with our employees? This is a great question, because it is very telling of if your employees are actually implementing your brand’s values. Would you recommend us to friends and family? Why? The real information comes with the “why” of this question. Like above, if they reference your business values, customer support, or integrity, then you are doing a great job of practicing what you preach. Online surveys. Your customers can fill these out after they make an online purchase. You can also add them into your email marketing strategy. Follow-up emails. After a customer makes a sale, you can send a follow-up email asking how satisfied they were. Paper feedback cards. These cards can have ten questions that are easy to answer. You can place these cards throughout your small business where customers can find them and fill them out. Customer interviews. You can ask your customers to answer a few questions. You can also post on social media, saying that you’re interested in conducting customer interviews. Those interested can then contact you. After you’ve gathered your customer and employee feedback start comparing. Do you see similarities in experiences and brand perception? If not, then you may have a disconnect. If the goals your employees are striving for internally are different than the goals you present to customers, you have a mismatch. To get a clear analysis of this, you may want to look at both your internal and external marketing materials. All of these marketing materials will state, imply or draw attention to goals your small business stands by. If you see a lot of variation across the materials, then you’re probably sending mixed messages. 1. Directly sharing your brand’s messaging and values. Your employee’s should encounter consistent brand messaging throughout their day at work. 2. Helping your employees bring your brand to life. Your employee’s should live your brand’s messages each day. To do this they need to understand why your company chose the values and mission that it did. This means you’ll want to communicate the back story and motives that helped develop your brand. You also want your employees to understand how your brand helps customers. Understanding these elements will help your employees to be brand ambassadors. 3. Get employees excited about your brand. It’s one thing to explain your values and brand identity to employees. It’s another to do that while getting them excited to engage customers with your brand. This means, you’ll want to connect your employees to the brand. You can do this by hosting events that celebrate your brand. You can also host meetings with smaller groups to go over what the brand really stands for. One of the best ways to connect your brand to each employee is by defining how their roles contribute to the brand vision. Letting your employees see how they’re contributing and making a difference is the best way to create excitement. 4. Hire people who share your small business’s values. As you hire new employees, try and find candidates that align with your brand’s values. This will make it easier for your brand to be translated to your customers. Remember that your employees are valuable resources for gaining customer feedback. Encourage your employees to ask for feedback from customers after each transaction. Have them focus on gaining insights into how your brand is viewed. You can even make up a quick survey that employees can distribute. Once your employees gather feedback, have them share it with you. Also be sure to ask your employees if there are ways your employee facing culture is difficult to represent to customers. Sending employees to conferences that align with your brand. Try and pick conferences that will expand your employee’s skills sets even more while still adhering to your brand values. Creating committees throughout your small business. Each committee should focus on something different that relates to your brand. This will help employees feel a sense of ownership for your brand. Asking employees to generate new ideas to help enforce your brand. Allowing your employees to embrace your brand with new ideas and content helps build a sense of ownership. Don’t make the fatal mistake of underestimating brand alignment. You want your customer and employee brand cultures to match up perfectly. The stronger the match is, the stronger your small business’s brand identity will be. 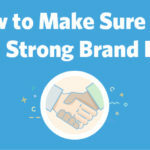 The post How to Make Sure You Have a Strong Brand Identity appeared first on Constant Contact Blogs. This entry was posted on Friday, April 5th, 2019 at 8:00 am	and is filed under Business Tips, News & Updates. You can follow any responses to this entry through the RSS 2.0 feed. Both comments and pings are currently closed.